Yesterday we showed you Genevieve's amazing kitchen story- she's truly a minimalist! 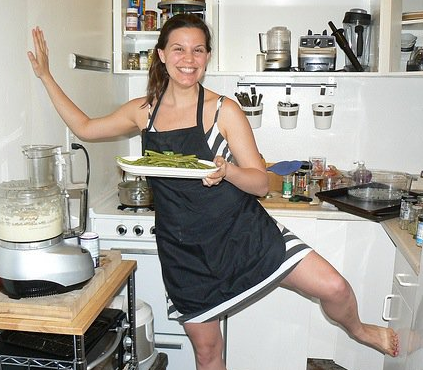 Today, I thought I'd post a throw back picture...Lindsay's kitchen in New York that she wrote The Happy Herbivore Cookbook in. New York apartments rarely have "nice" kitchens- the kitchen always seems to be an after thought, sometimes it's even just one wall built into the living room! Most of the recipes in the cookbook were created in this nook! Scott and Lindsay moved to a different apartment in the same building where the rest of the recipes were created. 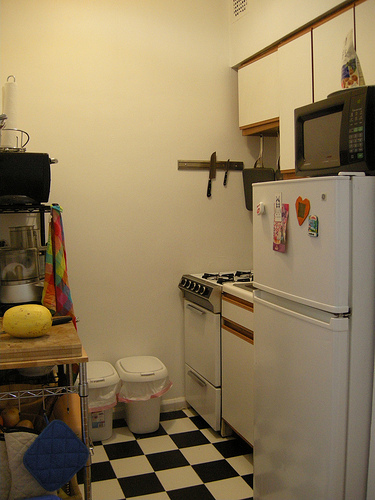 Still tiny, but a little more counter space? It just goes to show that a humble kitchen can still produce great results!